Internet marketing for doctors, dentists and other healthcare professionals can help build your practice in multiple ways. Your web presence can inspire trust, tell your story, build your reputation, answer common questions, describe services and encourage referrals. 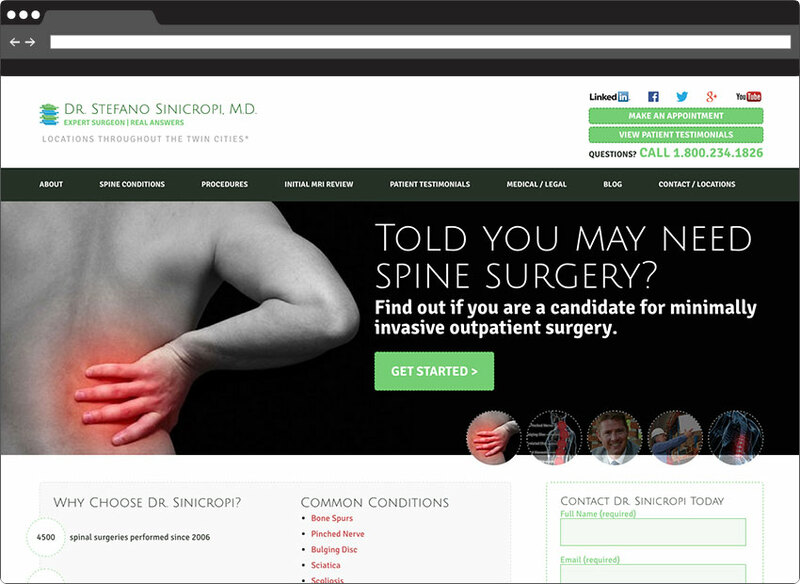 ThinkSEM specializes in internet marketing for professional services, including healthcare professionals. We will develop an online marketing program designed to enhance your professionalism and build your practice while protecting your reputation. Responsive web design: Our websites look good on any device and are built on the user friendly WordPress platform. Best of all, they are built for performance. Pay Per Click (PPC): A PPC campaign can be a cost effective means of reaching your online marketing goals — if it is designed and managed properly. PPC advertising allows you to reach potential patients who are searching the Internet for the services you offer. It drives them to your website or a landing page designed specifically for those who click on your ad. Sound simple? It’s not brain surgery, but it is actually quite complex. That’s why it’s important to hire an experienced professional. Campaign landing pages: We design landing pages that eliminate distractions and make it easy for potential clients to take the action you desire, whether that is asking for more information, calling your or making an appointment. Search Engine Optimization (SEO): We provide focused SEO services for healthcare professionals, including keywords, meta data, local search, custom content and responsible link building campaigns. Our goal is to generate qualified leads that will help your practice grow. Reporting via Google Analytics: Done right, Google Analytics can tell you much more than how many people have visited your website. We identify and track the data that is important for you to know, including your overall return on your online marketing investment. To learn more about digital marketing services for healthcare professionals, please call 651.200.3831 or contact us by email. Located in the Minneapolis-St. Paul area, ThinkSEM provides internet marketing expertise to healthcare providers in Minnesota and throughout the nation.